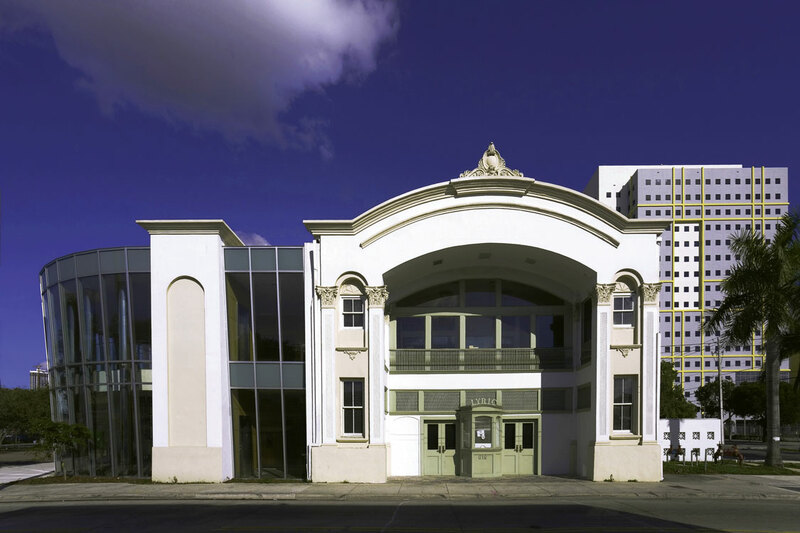 The Lyric Theatre is the only original historic theatre remaining in the heart of Overtown, a part of Miami settled by Caribbean blacks employed to construct Henry M. Flagler’s railroad in the late nineteenth century. The Lyric was built in 1919 by Geder Walker as one of the earliest and most important centers of entertainment in the black community, in an area once known as “Little Broadway” and “Harlem of the South” for its clubs, theatres and nightlife. What was once a vibrant and cohesive neighborhood, Overtown began to lose its luster in the early 1960s, when construction of Interstate 95 cut through the vital core of the community. Overtown quickly deteriorated and many of its historic buildings were demolished. Fortunately, the Lyric survived, and in 1998 RJHA was selected to restore the theatre and to design a modern, compatible addition. 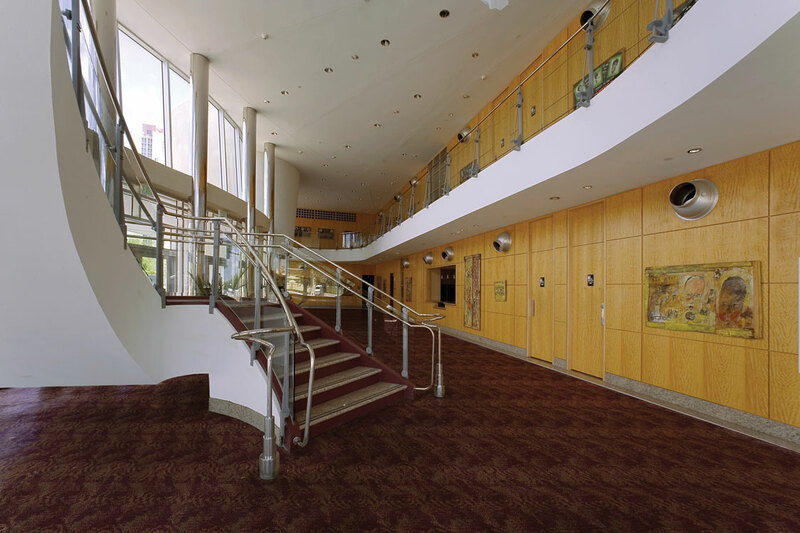 The historic theatre building was completely restored to match its original appearance. New electrical, mechanical, fire safety, ADA accessibility, lighting, rigging and sound systems were installed. A new entrance lobby wing was added, including restroom and dressing room facilities. The new wing was done in a modern, all-glass design, with a sinuous, undulating floor plan inspired by the shape of a guitar, yet consistent in scale and setback with the original building. 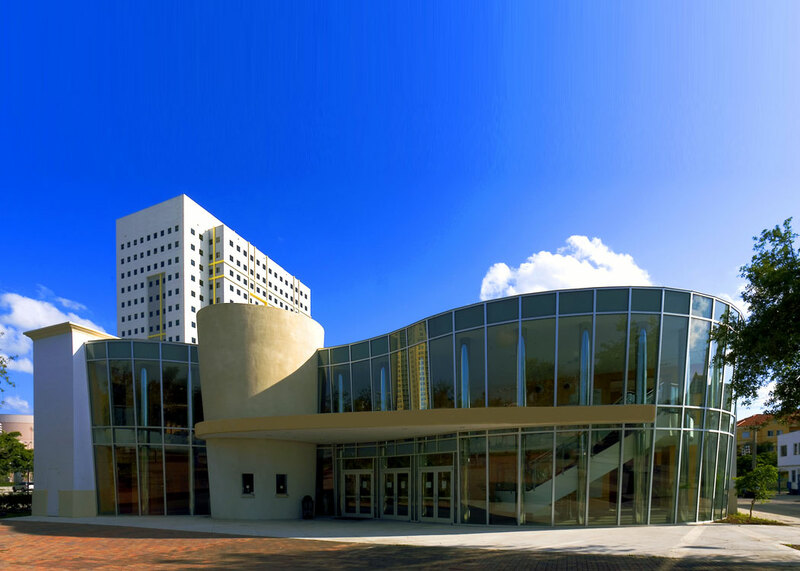 Today the Lyric Theatre stands as a nostalgic reminder of what Overtown once was and as a hopeful symbol that the community will once again emerge as a powerful and vital part of Miami.